Round leaves speckled green and red. White flowers in summer. 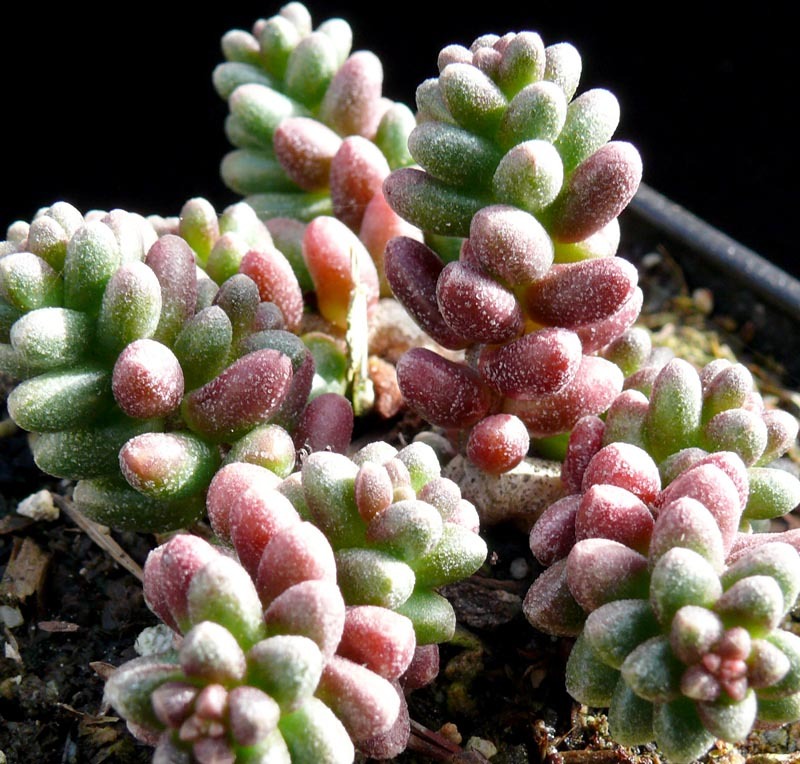 Will grow on creeping stems that turn upwards and can make a good rock garden and hanging basket plant.